Returning with the fourth and final EP in his 'God's Great Dance Floor' series, Martin Smith delivers an intriguing set of songs to round off the quartet. 'God's Great Dance Floor' opens with a quick blast of brass followed by deliciously jaunty strings and snappy-synth sounds, before Martin sings the opening line "I'm coming back to the start, where you found me. I'm coming back to Your heart, now I surrender." 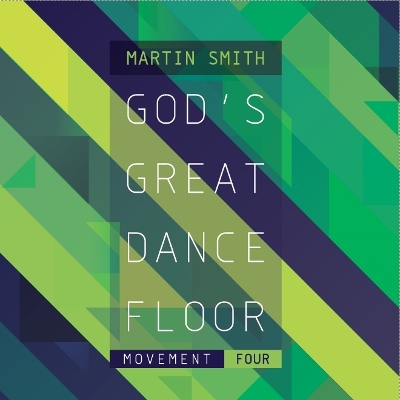 Read More Returning with the fourth and final EP in his 'God's Great Dance Floor' series, Martin Smith delivers an intriguing set of songs to round off the quartet. Recently featured on the new Chris Tomlin album, this track clearly has a special place in Martin's heart. A version of the same song opened Martin's first solo EP, under the title 'Back To The Start'. Back then it began in a very sombre mood, starting as a ballad and slowing taking time to build its excitement. Fast forward to EP number 4 and make no mistake - this is an out and out party anthem. Full throttle trumpets, dance beats and club style electro sounds make this an uber-upbeat musical extravaganza. "I feel alive, I come alive, I am alive on God's Great Dance Floor" Martin sings in full flow. The subtle backing vocal echo from Martin's daughter Elle-Anna adds a touch of class, and by the time the track enters the outro, you are experiencing an explosion of sounds with so much going on it feels like the song is bursting with life. Opening again with that modern-dance track sound and some Woah-oh-oh's reminiscent of a boyband, 'Only Got Eyes' is another highly contemporary worship track, more at home on the dance floor than in the pews. "I've only got eyes for You and ever since Your love broke through, I've only got these eyes for you". Spinning that comparison on its head, 'Keep The Faith' (sadly not a Bon Jovi cover song) opens with a traditional church-organ sound. This is soon replaced by an up-tempo drum beat and some echoey vocals from Martin. "Let Your fire fall I'm waiting here. Come and take it all, this heart of fear." Musically this song is far simpler than previous tracks, mainly relying on a continuous drum beat, bass notes, and a few floaty riffs. "We will overcome, when You are with us we are strong and love will be our greatest song. We'll keep the faith and stand forever." Fans of Delirious may remember the song 'There Is An Angel', which Martin first wrote some 12 years ago about his wife Anna. Now given a new lease of life as just 'Angel', this stunning piano ballad has brand new verses but retains it's original and powerful chorus: "There is an angel, and she's watching over me." Hauntingly beautiful, the song relies mainly on just a piano backing until the final couple of minutes when a crashing drum beat and electric guitar riff takes the volume up several notches. The final chorus with all the instruments playing in the background is easily enough to get the hairs on your neck standing up. God's Great Dance Floor Movement's One to Four have landed, full of songs that have clearly been bubbling away under the surface - waiting for their moment to be unleashed on an expectant audience. What will unfold in the Martin Smith story next? You can be sure the next chapter is under way.